Let's travel the world! 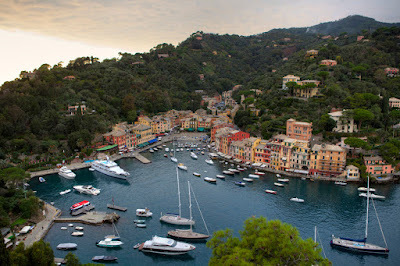 : Village Of Portofino in Italy! 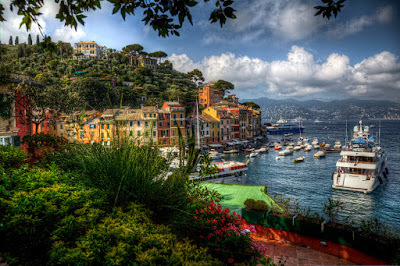 Village Of Portofino in Italy! Portofino is an Italian fishing village and vacation resort famous for its picturesque harbour and historical association with celebrity and artistic visitors. 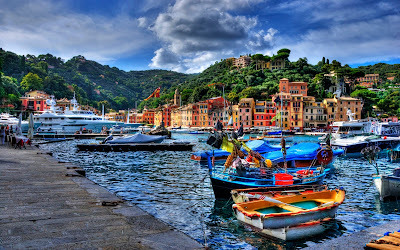 It is located in the Liguria region of Italy, in the Ligurian Sea on the Italian Riviera. 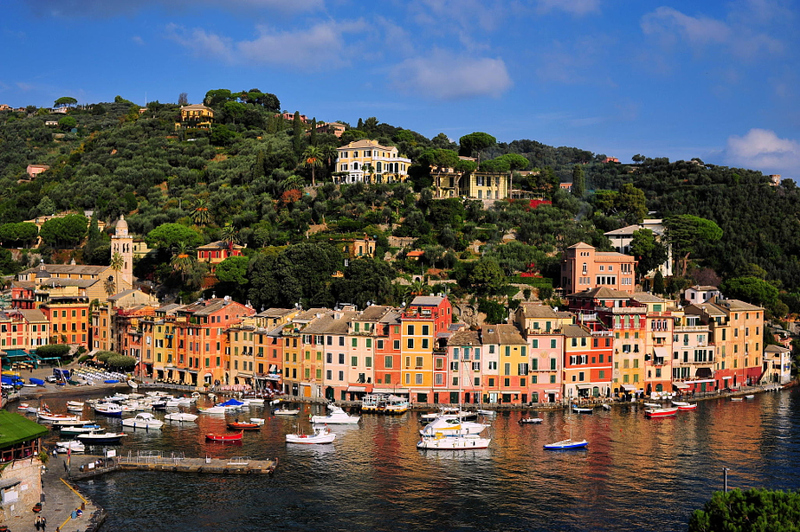 The town is clustered around its small harbour, and is known for the colourfully painted buildings that line the shore. 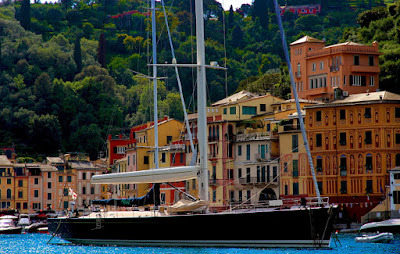 Portofino is a popular yachting destination. 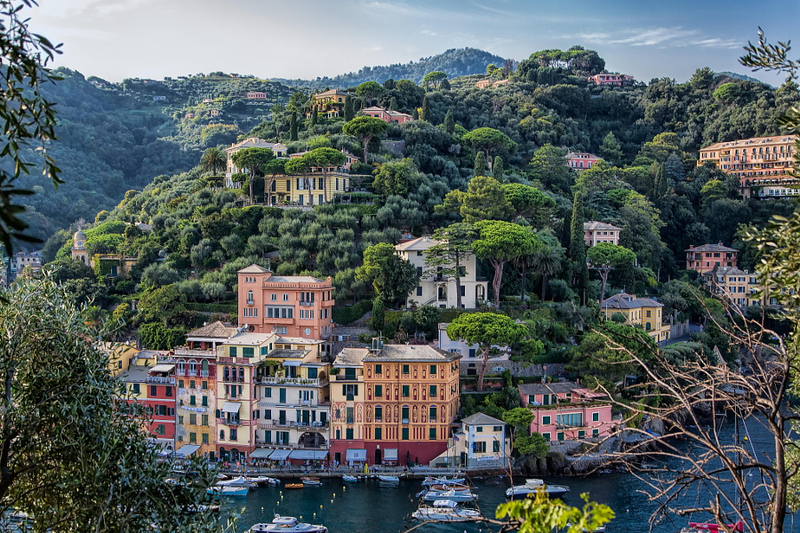 In Portofino the walking might be your best option. The town is not large and most hotels and beaches are a short walk from the harbor. Mopeds seem to be a popular choice for getting about, especially for those people visiting several of the small regional towns like Paraggi or San Fruttuoso on their own schedule. If you have a boat at your disposal, would be another convenient way to move around the area. There are rentals available in the harbor. Taxis are available too. View of Portofino in Italy. View from Hotel Splendido in Portofino, Italy! 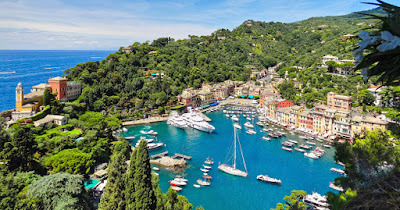 According to Pliny the Elder, Portofino was founded by the Romans and named Portus Delphini, or Port of the Dolphin, because of the large number of dolphins that inhabited the Tigullian Gulf. 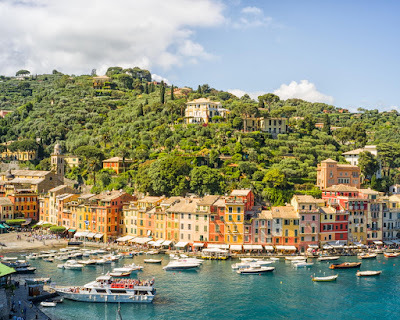 In the late 19th century, first British, then other Northern European aristocratic tourists began to visit Portofino, which they reached by horse and cart from Santa Margherita Ligure. 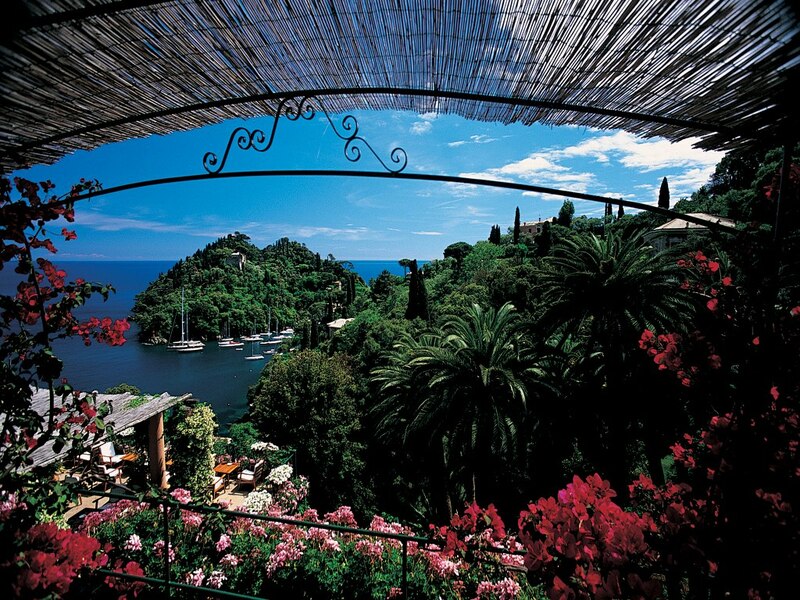 Aubrey Herbert and Elizabeth von Arnim were amongst the more famous English people to make the area fashionable. 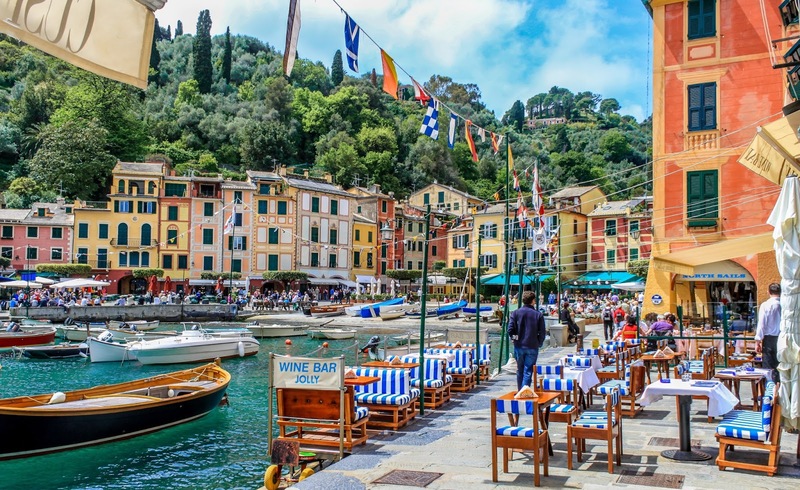 Eventually more expatriates built expensive vacation houses, and by 1950 tourism had supplanted fishing as the town's chief industry, and the waterfront was a continuous ring of restaurants and cafés. Everything! 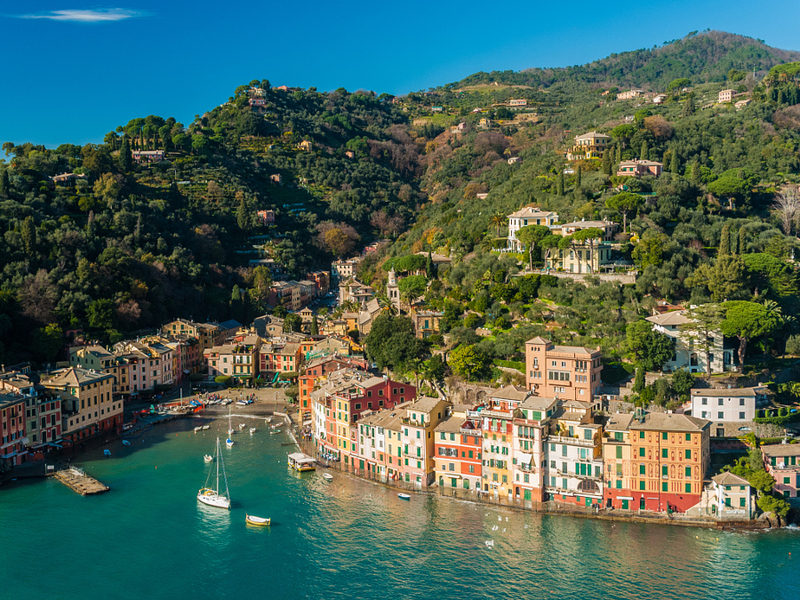 Truly, the most impressive thing about Portofino is the lifestyle, so running off and "seeing the sights" probably won't be your number one priority when you plan your trip. 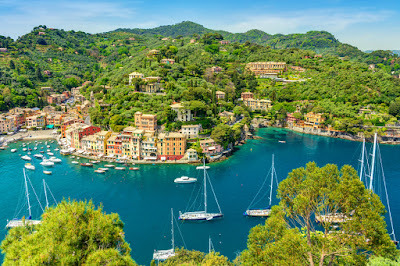 There are some notable attractions that might be able to lure you from the beaches, but the view from the harbor or any of the surrounding beaches is unforgettable and one could spend the entire day marveling at it. 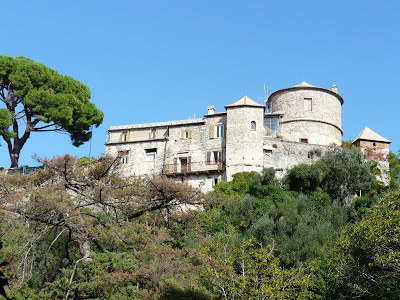 Castello Brown is a 16th century castle/fort, once used for the area's defense, but now primarily a museum with a fantastic view of the harbor and the Mediterranean Sea. The church of St. Martin (Divo Martino) is around the corner from the harbor and is a quaint, stylish little chiesa from the 11th century. 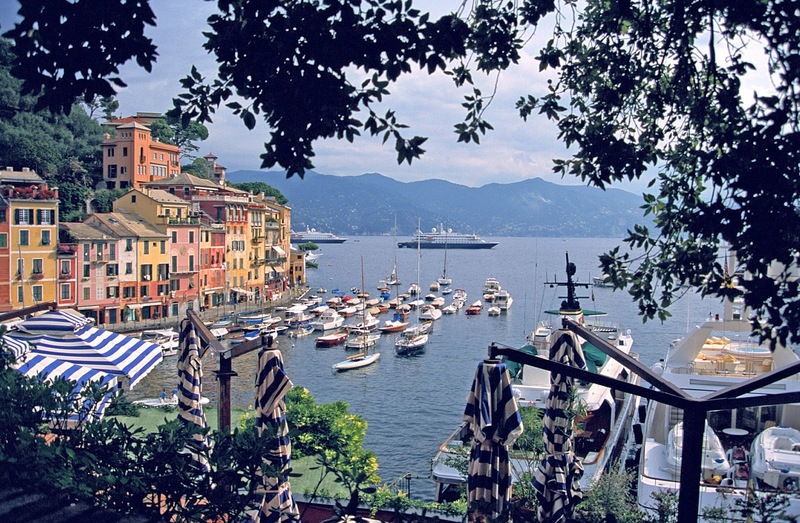 It's definitely worth taking a casual stroll around it. 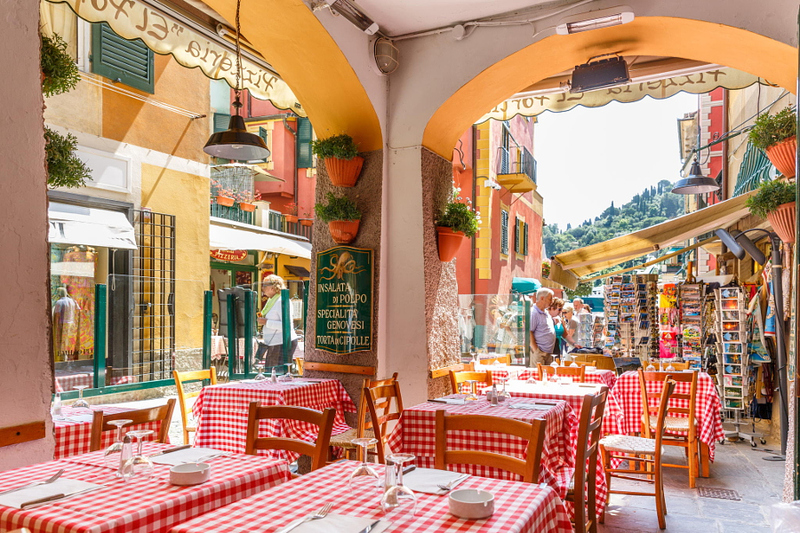 One of the best things you can do in Portofino is relax. 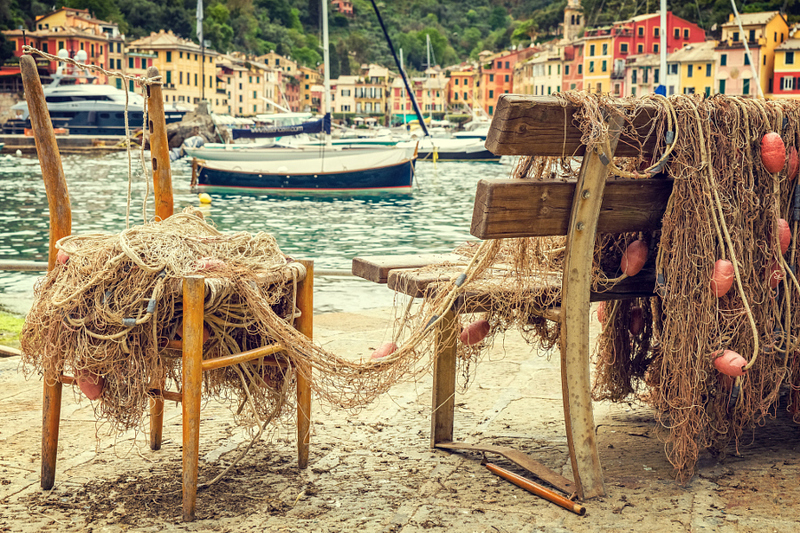 Walk around the small city, hear the sea, take a rest at the end of the left Marconi quay. 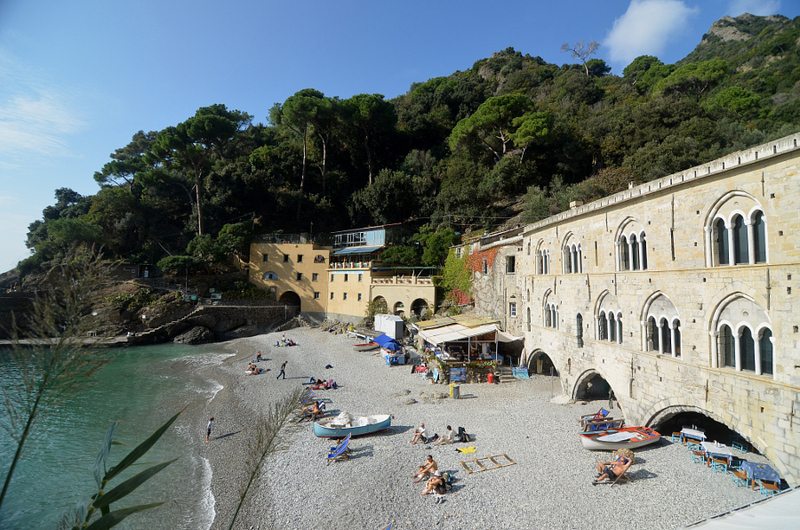 There is a small wine bar where you have an occasion to drink something seated less than one meter from the sea. Usually all the boutiques are open from the end of February until the end of October. You can visit San Fruttuoso Bay and try to see the sculpture of Christ of the Abyss. You can reach San Fruttuso only by sea. It's an unforgettable experience. 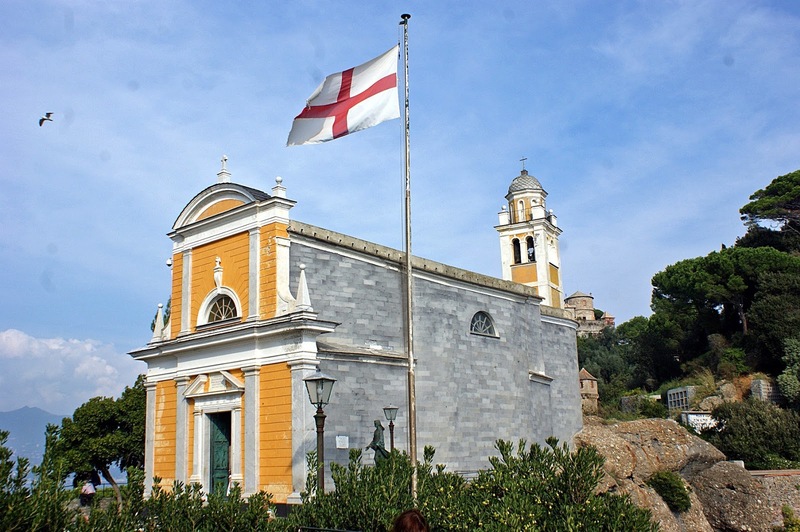 If you have some days off, you can also visit the Acquarium on Genoa (30 km from Portofino) the biggest one in Europe, and walk around the port streets. There are a lot of museum and historical buildings. 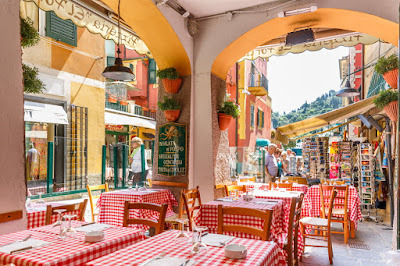 The well-known town of Pisa is also only roughly 2 hours from Portofino, and if you simply can't miss its leaning tower, it is well within reach of a day trip. Castello Brown, Portofino in Italy! 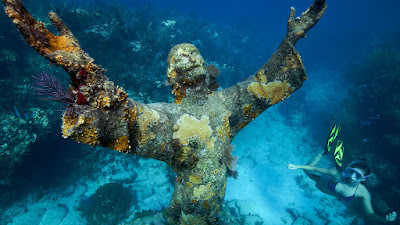 Statue of Christ of the Abyss in Portofino, Italy! 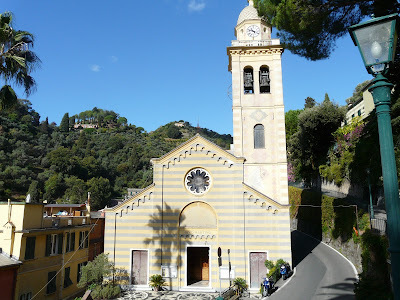 Church of St. George in Portofino, Italy! 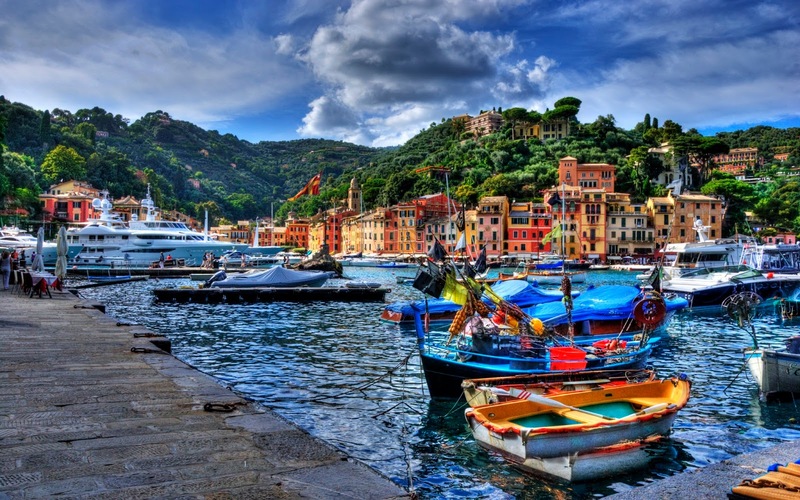 The closest major airport to Portofino is the Christopher Columbus airport in Genoa. From there you can rent a car, as it is a relatively short (35.8 km) ride. Overall the drive takes a little over an hour. Two other options if you are unable to get to Genoa are Nice in France and Milan in Italy. They are a bit farther away. The nearest railway station, S. Margherita Ligure-Portofino, is about 5 km away in Santa Margherita Ligure. 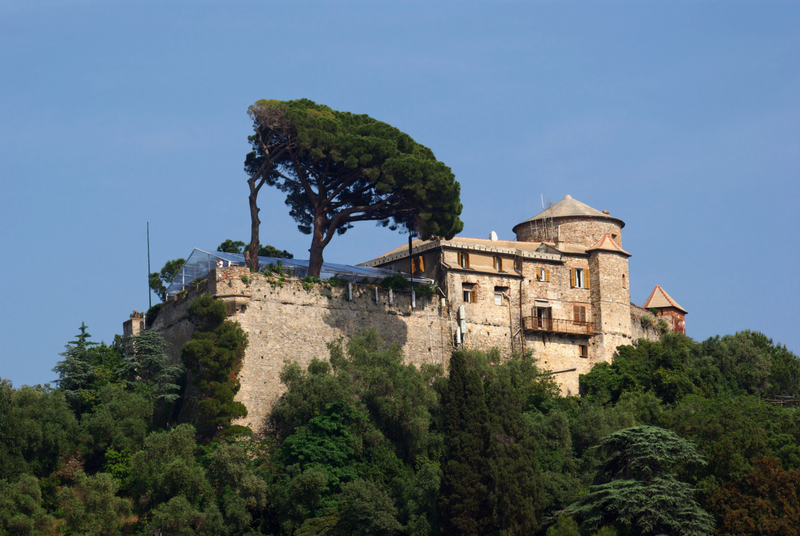 A train from Genoa takes around 45 minutes and costs around 3 euros. There are buses and boats to Portofino from Santa Margherita Ligure. 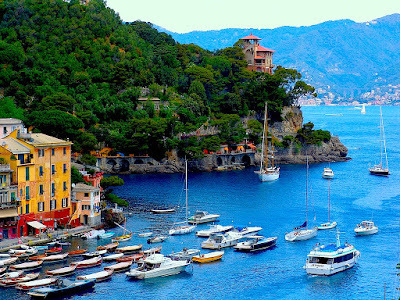 Much more relaxing is a pleasant ferry ride along the coast. 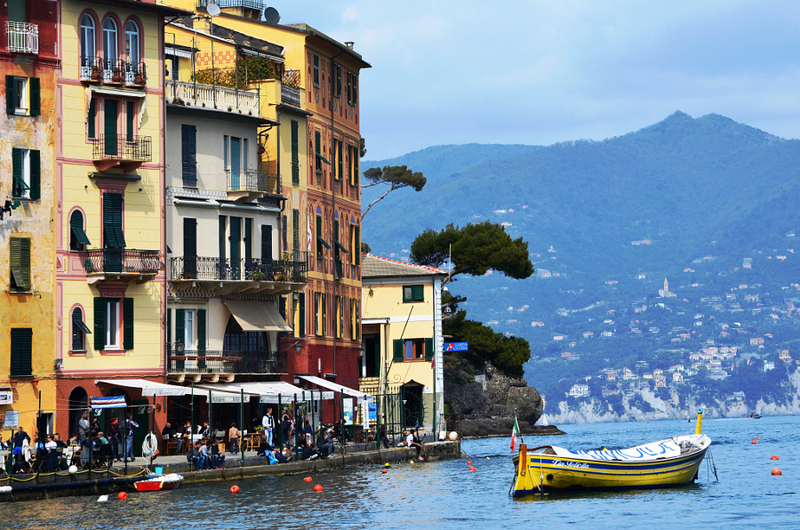 In summer, there is one direct daily departure in each direction from Genoa. 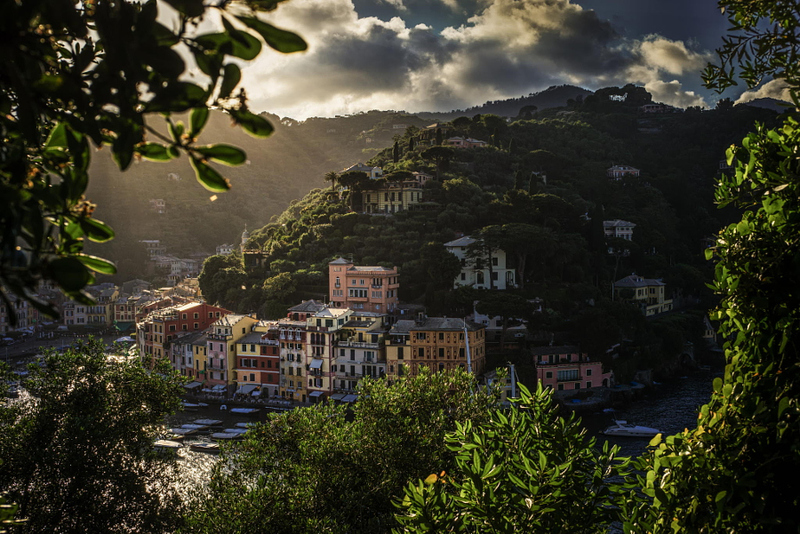 It is scheduled to allow a pleasant day trip. Otherwise, the region's well-developed ferry network provides various connections that could get you to Portofino with a change of boats in such as Santa Margherita Ligure. Expect the ride to take a little longer than driving. 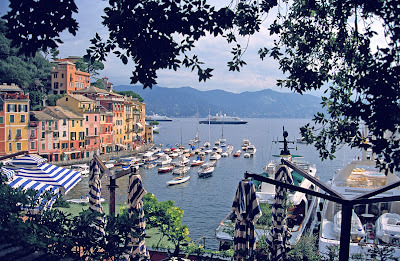 One final option should you happen to have the resources, just sidle into the harbor or a cove in your personal yacht. 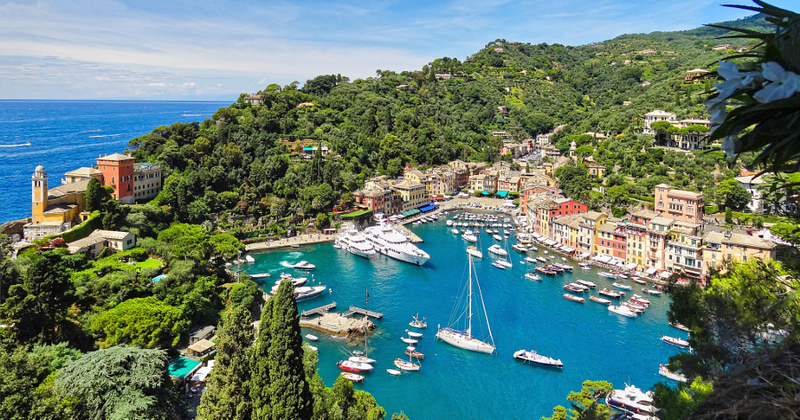 Portofino is a popular destination for the world's wealthy, and the luxurious yachts constantly dot the horizon in this lovely Mediterranean port. Village Of Portofino in Italy. 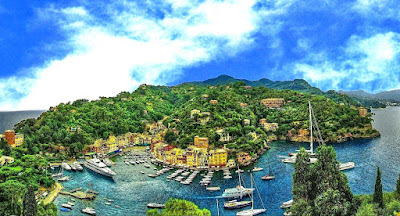 Portofino became famous in the 1950s with the song "Love In Portofino" which was written by Leo Chiosso and composed by Fred Buscaglione, and released on 12 May 1958. Fred Buscaglione was also the first singer to perform it. Legendary actor Sir Rex Harrison owned a villa in Portofino which he named San Genesio after the Roman Catholic patron saint of actors. 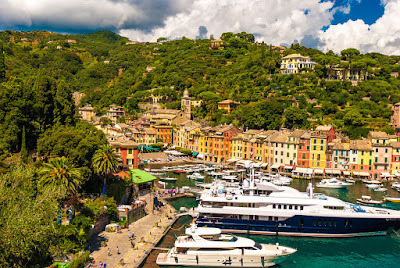 Portofino has inspired a re-creation of the sea side town around the harbour at Tokyo DisneySea in Chiba, Japan. 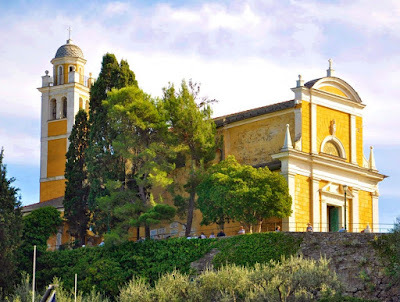 There is a full scale replication, in authentic detail, of the Portofino Bay at Universal Orlando Resort in Orlando, USA, which opened in September 1999. Portofino was also featured in the television series Top Gear (Episode 5, Series 12). Richard Hammond, in a Ferrari Daytona raced James May in a carbon fibre powerboat from Portofino to St Tropez. Andrea Bocelli recorded a concert in Portofino in 2013, which was released on DVD. 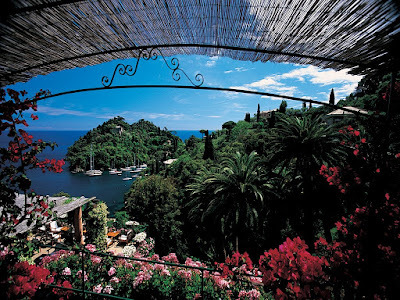 Portofino is the eponym of Frank Schaeffer's Portofino: A Novel (1992). It was the first of Schaeffer's Calvin Becker Trilogy. 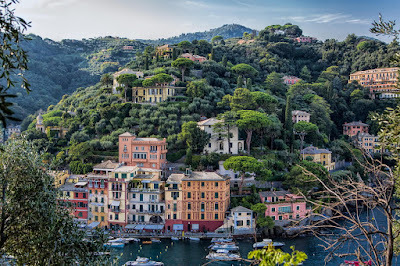 Portofino is one of the shooting locations of the 1995 Antonioni / Wenders film, Beyond the Clouds. 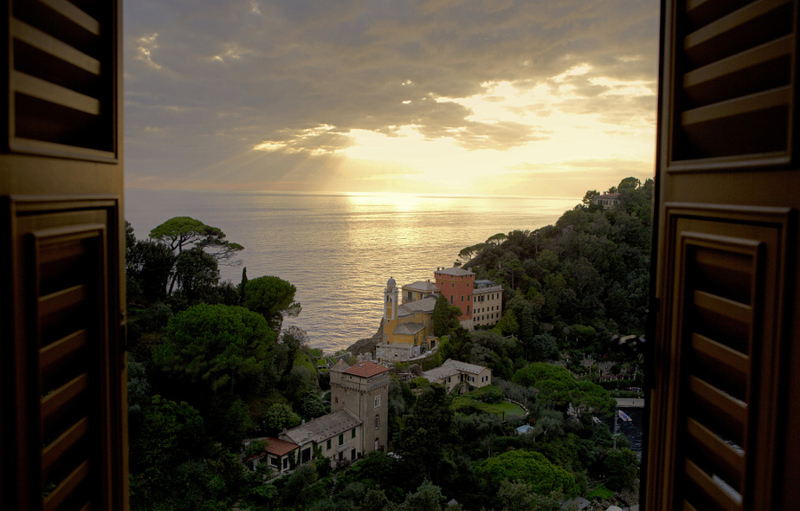 Canadian musicians Chad Kroeger and Avril Lavigne honeymooned in Portofino in July 2013. 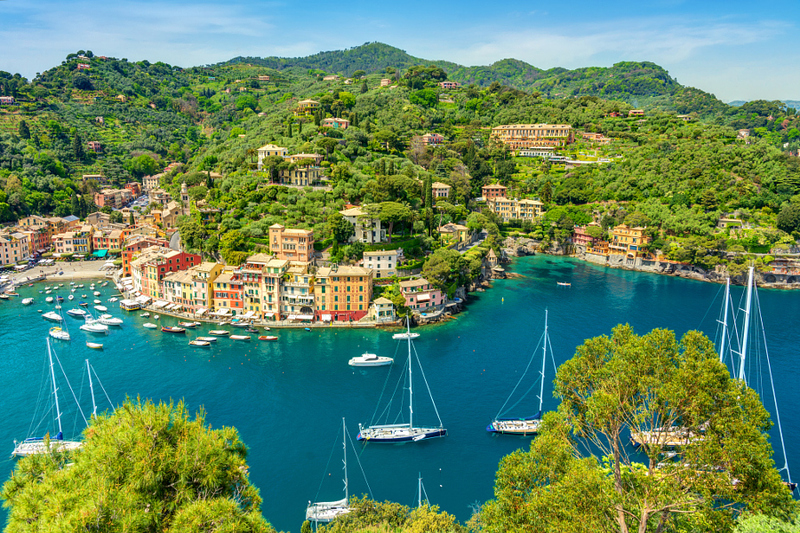 Kylie Minogue several times rested in Portofino, in 2011, 2013 and 2015. Santa Claus Village in Rovaniemi, Finland. Machu Picchu: Peru's most visited attraction! Lençóis Maranhenses National Park, Brazil.